Those within or outside of the blue & white family always seem to get hung up one issue in particular when it comes to Sigma and Zeta. That is, "How does the bond shared between Phi Beta Sigma and Zeta Phi Beta stand out from any the bonds that are claimed by other Black Greek Lettered Organizations?" The strength of the bond that we share goes beyond the constitutions as they are written in said documents. I would stress that there is more to a bond than kicking it, partying and hanging together or even dating each other. A relationship is a choice that two or more people make towards a common goal because of their feelings towards each other. Many people think that just because it's blue we are supposed to date or always agree. That is not what the bond was established for, and that is not true in even the closest blood family. Just as I have blood relatives that I am not close with or don't associate, I have frat and sorors that are in the same boat. Yet, when worse comes to worse, I will always be there for my family long before any ordinary person I become close to. That is my blood and I have a lot more history with my blood-line than with someone who is not related to me. The relationship between Sigmas and Zetas gives us the choice of having a spiritual relationship with each other which is the essence of any brotherhood and/or sisterhood. The bond that Sigmas and Zetas share gives us the EASY choice of having this spiritual fellowship no matter where in the world we go. For who is usually closer those who share a common thread of history or those who pick and choose reasons to fellowship based on location and circumstances. Sigma and Zeta have been about this common fellowship since Zetas inception in 1920, so of course we have the history and know how to make such a bond work no matter where you go, but as in any relationship it is based on the choices of the involved parties. It also gives us a common ground in which we can meet and (or) settle our differences if need be. Knowing that we stand on the ground of our founders love for the fellowship of men and women as brothers and sisters. That is why the bond transcends those who are aligned in the ranks of Sigma and Zeta, but it is something that is held dear and sacred by those who PLEDGED their loyalty to our cause. The day I pledged my loyalty to Phi Beta Sigma Fraternity, Inc. was also the day I pledged my loyalty to true spiritual fellowship and love for ALL members of Zeta Phi Beta Sorority, Inc. Once again this goes back to my PLEDGE or OATH to Sigma. 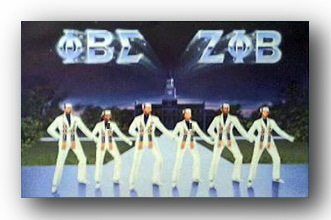 I can t truly become a Sigma until I recognize and honor my true sorors of Zeta. Just because someone wears our colors doesn't mean that they have traveled down that road that leads to the spiritual enlightenment that will help them foster a love for the bond that men and women share. This is true of ANY organization. Just because someone says they are a member doesn't mean that they are dedicated to its ideals and principles. Yet, the bond existing as it does gives us a way that is easier to follow because of the before mentioned history. We have a REASON to love and respect our sorors as we LOVE and respect our brothers. We have a COMMON history, which must be at least recognized and acknowledged before one can TRULY be called FRAT or SOROR. Personally, having the bond has helped me to respect ALL women as my sisters by using my LOVE for Zetas as an example or BLUEPRINT. That is something that I have NEVER heard or seen from any other frat, because only in Sigma are my sorors on the level of love as my frats. You ask about a bond our bond was started out of LOVE, for a real man loves the women in his life as he loves himself. So in conclusion, Zeta Phi Beta Sigma bond gives me, a brother of Sigma, the ability to love my sorors as I love myself and all of mine. Awards & Recgonition * Photos * Mu News * Famous Sorors * Links * Our Brothers * Interested In Zeta? ?